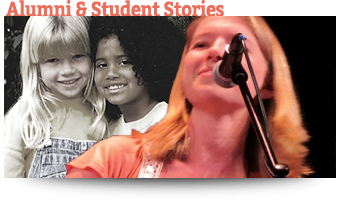 MVM is a true Montessori school. And this is the pivotal idea of a Montessori school: that it be an opportune place for children to grow to their fullest in confidence and self-esteem, initiative, inner-discipline and creativity. The old factory style of manufactured education is not sufficient in the quickly changing present. Education is not just memorizing. Teaching is bringing forth the will in children to learn. We teach children how to think, not what to think. Monte Vista, meaning mountain view. A view from a higher place. The big picture. Seeing and understanding the “big picture” is part of learning how to live. 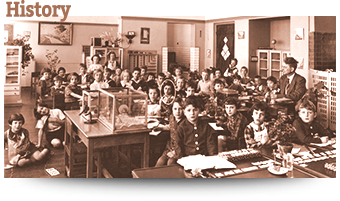 Montessori education is a preparation for life. Learning is progressive. It is dynamic and involves the whole personality of the child. Dr. Maria Montessori realized that self-motivation is the only valid impulse toward learning, and she allowed the child the freedom to expand to the fullest in their physical, intellectual, and spiritual life. However, this freedom is not granted by others, but is gained through the childÃ­s completion of self-chosen tasks. Once the child has obtained order in the mind and inner discipline, the Montessori child is free to learn. The Montessori teacher prepares the children’s environment, guides their activities, exercises authority where needed, and offers stimulation. Within the classroom environment a sequence of material is at hand with an ordered progression of tasks. The materials are concrete expressions of abstract subjects. The child discovers that initiative leads to accomplishments; these cultivate personal patterns of concentration, perseverance, and thoroughness. 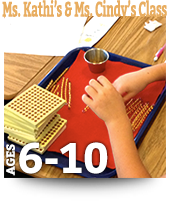 The Montessori material facilitates sensory-motor coordination and concept formation, verbal skills, writing and reading, while it strengthens spontaneity, motivation, competence, self-reliance, determination, independence, perseverance, discipline, order, and initiative — in other words, the priceless work habits of a free person. In time children begin to use the equipment as midway symbols between percept and concept. At their own pace children work their way from manipulation of materials to notions and finally to understanding. This is easily observed in the field of arithmetic. Self-chosen work is the best disciplinarian. A child involved in work does not have a behavior problem. MVM School does not use corporal punishment. Using the Montessori approach to discipline a child may be asked to sit down and observe the other children, talk about their own behavior, talk things over with the other child, or participate in a different kind of work (play) that might satisfy the personal need of the moment without further disturbance. Disruptive and aggressive behavior is not condoned, and continued incorrigibility could be cause for dismissal. The environment safeguards the well-being of the group, as well as the safety of the individual child. The staff-child ratio is more favorable than the limits required by the Texas Department of Protective and Regulatory Services. 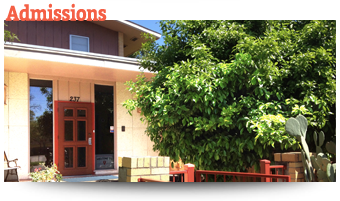 All classes are directed by certified Montessori teachers. Visit the school with child. Observe a Montessori class. Discuss school policies and regulations. Be informed about teaching methods, school schedules, and tuition payment. When accepted, fill out registration and health forms. Return these with registration fee and arrange for payment of tuition. The registration form gives the school administration required information about child and family. It is an application for enrollment and agreement for tuition payment. Registration must be renewed each year. The tuition schedule form states all tuition policies. Payments are to be made in full, on a yearly, quarterly, or monthly basis as arranged. The signing of the registration form/tuition agreement affirms that you have received, understand and agree to all information about MVM school as it is given to you in the school brochure, the policy booklet, the registration form/tuition agreement, the tuition policies, and the health forms. The Department of Health requires that all newcomers be tested for vision, hearing, and speech/language. This must be done before the end of the first semester. It can be done collectively at school, or individually by a doctor or other person licensed by the state. The school must have the test results on file. Health record forms are sent out with each application for enrollment. The health sheet for your child must be updated, signed by parent(s) and the physician, who must also give the date of the required yearly physical of the child. This form must be submitted to the school before the beginning of each new school year. The Health Sheet includes basic information about your child. Secondly, your child’s health records; immunization dates, statement about child’s physical health and abilities, and date of child’s yearly physical, plus the signature of the physician. First of all, name and age of your child, home address, home phone, names of parents, and the (business) phone numbers and addresses where they or other designated and responsible people can be reached during school hours. Thirdly, authorization for emergency medical care when this appears to be urgent, and nobody with authority can be reached. Information must be given about preferred physician, dentist, emergency clinic or hospital, and the school must have available the aforementioned address and phone numbers in case the emergency does not allow the normal procedure. For required immunizations see the Health Sheet. MVM School will be closed whenever the San Antonio Independent School District (SAISD) public school system is closed due to inclement weather. Such announcements can be heard on the local radio and television stations before school hours. The arrival and departure of your child should be punctual. Late arrivals disturb the continuity of the class already in progress, and frustrate your child at the end of the day. On rainy days and days with “a blue norther” all children will be immediately taken inside. In order to allow each child a sense of independence, your participation in arrival and departure should be brief. Please note that these are not appropriate occasions for parent-teacher conferences. The staff needs to focus its attention on the children. We emphasize the importance of picking up your child at the expected time. A continual disregard of this rule is unfair to both the teacher and your waiting child. Because of a large number of cars arriving and departing within a short period of time, certain guidelines have been designed to prevent chaos at the beginning and ending of each school day. Cars arriving should stop at the front of the building. During the scheduled hours of arrival and departure staff will be present to assist in the arrival and departure of your child. Outside these hours you are required to walk your child personally to or from the classroom and notify the teacher about the arrival or departure. Furthermore, we ask that you not all arrive at the same time when the gates open, and in doing so block all through traffic on Magnolia. The traffic police ask your cooperation, when waiting on Magnolia, to position your car so that other traffic can slip through. MVM school will only release a child to the parent, or to the adult the parent designates. If the parent or the designated adult cannot pick up the child, and you call the school that someone else will pick up the child, the school must be able to identify the parent and the person who comes to pick up the child. A school age child may leave the school grounds alone or with an older sibling if you request so in writing and all safety considerations have been met. Do not leave your child alone before school opens at 7:30 a.m. or after closing time at 5:30 p.m. Be aware of holidays, vacations and days of no school. We recommend the use of car pools as a cooperative, time-saving, energy saving convenience, and as a reduction of traffic. Parents should make their own arrangements for car pools and refer to the school student list for addresses of possible participants. This does not in any way oblige a parent to accept an invitation to join a car pool. Parent education evenings may be held during the course of the school year. You will be given advance notice of the specific dates. The importance of these meetings to you and your child cannot be overemphasized, and you are asked to give them high priority. These meetings are the opportune time to become more familiar with the Montessori philosophy; to learn about the Montessori didactic materials and the subjects worked on by the children, and to share your thoughts and feelings with other parents and the teachers. Again we stress the importance of attendance at these events in order that you may understand and successfully partake in your child’s education. It is important from an administrative point of view that the proper lines of communication are defined and closely followed. All matters involving the child should be discussed in first place with the class teacher, not with a class assistant. All matters pertaining to registration, tuition, and administration are to be discussed with the administrator. Conferences with your child’s teacher are scheduled several times a year. If necessary, additional interviews may be arranged during the school year. The school office can set up an appointment, and the teacher will gladly meet with you whenever there is a need. On the other hand the teacher may want to make a special appointment with you for the benefit of the child. Conferences help the teacher and the parent to understand better the progress of each child and the class as a whole. The directors of MVM may advise the transfer of a student to a different school, if the child is seemingly unable to function well in our Montessori environment. The school may suggest special tests to be administered to a child, when it appears to be advisable and beneficial to the child. 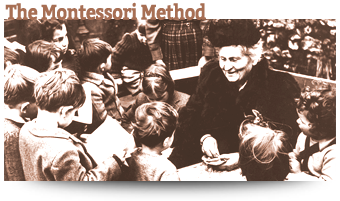 Dr. Maria Montessori recommends that children should be initially exposed to a prepared environment of learning at the age of two or three. It was her experience that a stay of at least 3 years within a class enhances the learning situation. It was also her practice to have an age span of three years within a classroom, with a certain freedom of movement within the classes. 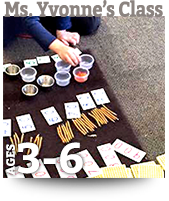 Montessori classes are therefore not graded and permit a great flexibility of pupil movement. Long periods of uninterrupted time promote the child’s concentration, and do away with rigid time-units of teaching that are common in many traditional schools. 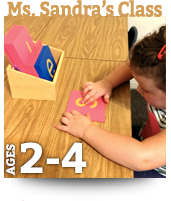 The Montessori didactic apparatus has a structure of sequential exercises which can be utilized by the learner at their own pace, and places the child in direct contact with the learning material and its concepts. The Montessori teacher is the guide and the accountable person in this to bring forth the best in the child, to nurture talent. Classroom observation is an important experience for all parents. This will increase your appreciation of the Montessori method of education and will answer many questions about your child’s day at school. 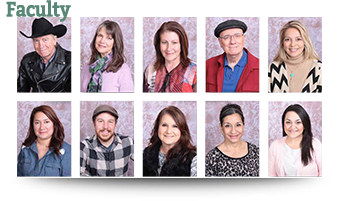 Classroom observation will also enhance the value of your conferences with the Montessori teacher. Please keep in mind that these are opportunities to observe, not to participate in your childÃ­s class. However, if your little preschooler has just entered school, it may be more beneficial to you to observe in another primary class, and this for a very good reason: if your child has not yet adjusted, your presence may interrupt your child’s activity and behavior. An appointment is not necessary, but for the sake of security please inform the school office of your presence when you drop in for an occasional visit. We ask you to label all your child’s clothing with iron-on or sew-on labels for easy identification. Children should wear manageable and practical clothes to school. Overalls or pants with difficult fasteners merely frustrate small children when they need to go to the bathroom and often cause unnecessary accidents. Footwear should be of a style which enables the child to manage independently and to walk and play comfortably. 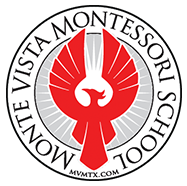 Monte Vista Montessori school does not require uniforms. However, while our summers are hot, children are not allowed to wear swimwear to school. The classrooms are air-conditioned, and the children should be dressed appropriately. The children play outdoors throughout the school year, and the fast changing weather in the winter-time asks for some foresight in order to dress children appropriately for sudden cold and hard wind. Please tune in to weather forecasts. Windbreakers, sweaters, or caps and mittens may be needed on such days. If an article of clothing is lost or left behind, please look for it in the Lost-and-Found Box. At the end of the year all unclaimed articles of clothing will be donated to a charitable organization. Children should be encouraged not to bring toys to school. They will not be allowed in the classroom. Children may bring books, flowers, cds, cultural objects, rocks, musical instruments, etc. to class where the teacher may use them for a presentation, all in the spirit of Montessori and in the interest of the children. All children should bring their own nutritious lunch to school. Foods high in sugar, fat, salt, preservatives, or other artificial additives, should not be included. The school provides a drink, or the child may bring their own fruit juice. Please, write the child’s name on the outside of the paper lunch-bag. A napkin and necessary utensils should be packed with your child’s lunch. No lunch boxes or fabric lunch bags, please. Fabric lunch bags quickly become unsanitary, and retrieving lunch boxes and bags adds unnecessary delay at departure. Children remaining in After School Care must also bring a snack to school. The children will sit down for their snack at the beginning of A.S.C. The snack should be packed in a separate brown bag marked SNACK, with the child’s name also written on it. Birthdays are a time of recognition and celebration. Each birthday child is honored in a special way. We ask that you do not send birthday cakes, cupcakes with icing, balloons, etc. Children may bring in fruits, nutritious snacks, popcicles, or cookies. The birthday child may want to share a special gift with the class such as a book, a cd, or flowers. Invitations to birthday parties at home can be handed out at school as long as the whole class is invited. If you want to invite select friends to your child’s party, please phone them, or mail out the invitations. This will not hurt the feelings of uninvited children. Over the counter medication will be administered by staff under the following conditions: A written permission and directions from the parents must accompany any medication. The medication should be in the original container and shall be administered according label directions. The childÃ­s name must be written on the container. All prescription medication must be in the original prescription container, labeled by the pharmacy, along with a note from the parents advising when the child should receive the next dose. A journal of all medications will be kept detailing the childÃ­s name, when, what medication, dosage, and who administered the medication. Emergency medications, inhalers, epinephrine, and other medications will be kept in a designated place easily accessible to staff in a time of need. MVM staff will not allow any student to take medication without proper instruction from parents. Please do not send medications in your child’s lunch or allow them to carry medications on their persons. The Texas Department of Health does not allow a child who seems to be ill to attend school, and MVM School is not allowed to admit such a child unless a doctor or nurse gives approval in writing. If your child appears seriously ill or injured while at school, the school office or the teacher will call you immediately. We expect the parent to pick up the child as soon as possible. In the meantime someone of the staff will supervise and comfort the child, although the school is not specifically equipped and staffed to take care of sick children. If your child appears to need immediate medical attention, the School must call your child’s physician, take the child to the nearest emergency room or minor emergency clinic, or call for an ambulance. 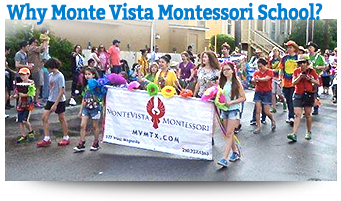 For this reason Monte Vista Montessori School must have your authorization for emergency medical care (required by Texas Department of Health guidelines.) Before a child is accepted back into class after having had a contagious disease, the school requires a written note from a physician stating that the child is no longer contagious. Parents are required to inform the School about a contagious illness of their child. When absence from school is necessary for any reason, we ask that you call the school between 8:00 and 8:30 a.m. 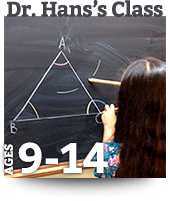 Regular attendance is important for your child’s understanding and appreciation of Montessori education.